After a week of meeting like-minded people in a sun drenched paradise on the sea, it’s only natural to feel a bit of the post-vacation blues or what we’d like to call The Yacht Week withdrawals. You get this type of feeling the minute you step off the plane and get back into the office or the normal day-to-day routine where something deep inside of you nostalgically longs for that certain week you thought would just be a simple holiday to let go and enjoy the sun. Perhaps these withdrawals come from the fact that it’s only a week, but for some reason each day feels like a month long trip in itself because of the different places you visit with the new friends you make. You all had one thing in common before embarking on this adventure: To have a good time and to meet people who could only be capable of maximizing that good time. Your happiness was turned into bliss and any negative feelings suddenly disappeared. Did you climb a volcano in Italy or were you part of making a 50 boat pool in the middle of the Adriatic in Croatia? Perhaps your favorite moment was something so simple as having dinner with the crew staying next to you on the mooring or renting vespas for a day in Greece. 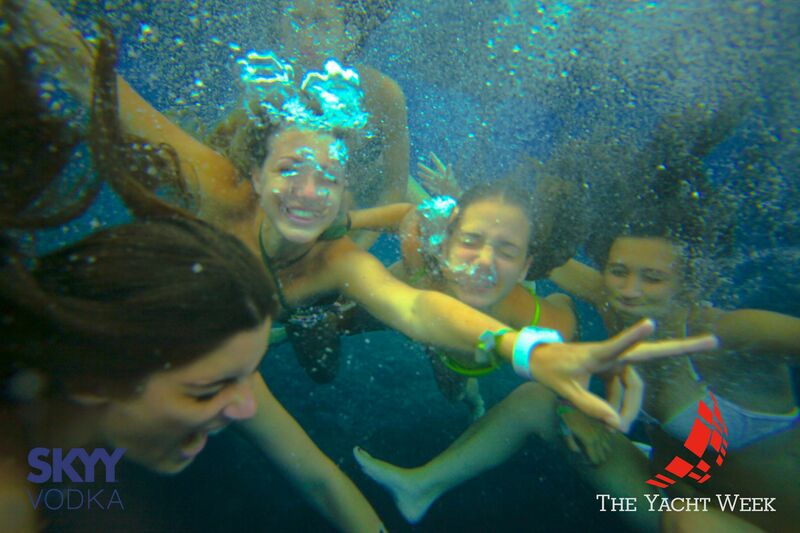 Despite the location or the activity, it all comes down to the charisma, energy, spontaneity and positive vibe you have all brought to The Yacht Week this summer. Some say this simple sailing holiday suddenly gives people that urgent sense of wanderlust because after the trip has ended many go directly to organize the next vacation - whether it be sailing in the BVI’s or booking a trip on the very first Ski Week. It doesn’t matter what the trip may be, but together an open mind, a free spirit, and a little bit of initiative opens the doors to keeping those new friendships. The withdrawals are hard to cope with, but the memories are easy to fall back on. To book your own yacht to The Yacht Week this summer, pick between our three destinations - Croatia, Greece, Italy - and join in the fun.